My father had several women but married only three, who produced those 24 Children. 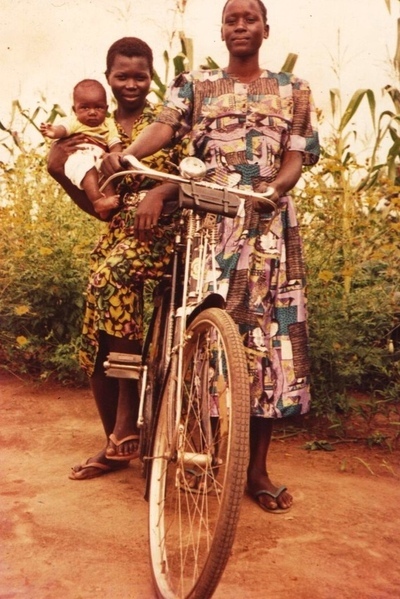 After my Senior Four (that is a Uganda Certificate of Education) in 1990 - I could not continue with my studies because of lack of school fees and the stigma towards girls' education in the days. I then got married to Mr. Okullo Francis, a boy in the same village in the year 1991. He came to Kampala that same year and got a job with Crown Beverages (Pepsi) as a casual worker. In 1992, he invited me to join him in Kampala but life was not easy. 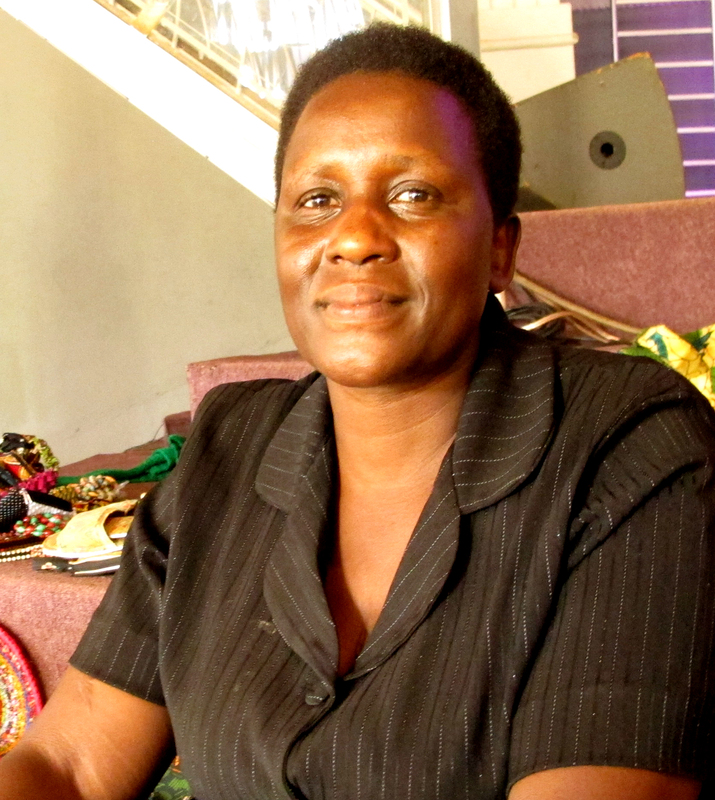 In 1993, I went to be trained in a nearby tailoring workshop in Naguru but after one month I realized the knowledge I had was far better than my trainers and I decided to leave the workshop. I bought one sewing machine with which I started training myself at my house, where I could pick an old shirt or skirt, open it and see how it was cut. Then I also cut and sewed it the same way. At the workshop, I had learnt how to cut and make a straight skirt and a baby dress. I was just training and working in my house. I would buy second hand clothes from Nakawa market then make childrens clothes and ladies clothes - like 8 to 10 full sacks - then in December take them to the village and exchange it with food. Then I would bring the food and sell it at the front of my door - because money was scarce in the village in those days but food like beans, G.nuts and simsim were in plenty. In 2002, I rented the veranda of one of the clinics in Naguru. In February two ladies came to me asking that I train them. In March four more and this made a total of six ladies - the veranda could no longer fit us. So in April 2002, I rented a shop with the money they had paid for fees and the food I had been selling in front of my door. It was a shop with groceries inside and I trained my students on the veranda and I bought the second sewing machine. 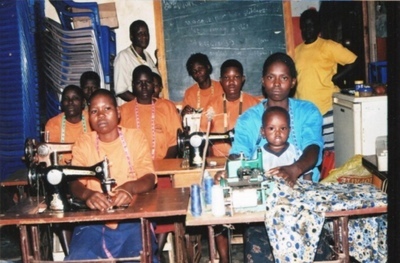 In 2003, I bought two more machines and that year my students increased to ten women. Unfortunately, my husband fell sick and left work. Fortunately enough he was fully trained and skilled at tailoring and garment cutting, so he joined me in business after he was cured from his illness. Every year I bought at least one or two machines from the fees students paid. We also registered as an enterprise. From 2011, a friend took me to Bowa Community Polytechnic and sat Craft Level 1. I had not sat in a class for a while but I got a distinction. I excelled and made the school proud. And with the confidence I gained we expanded the school. In 2013, Victorious got a centre number and we registered as a Limited Company in partnership with my brother. 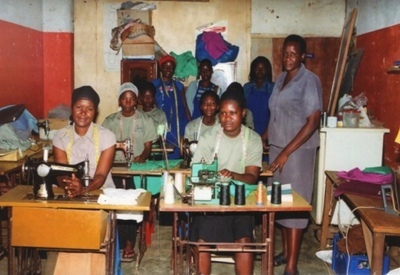 Victorious deals in training young girls, school dropouts and women. Many that I trained now run their own businesses. I enjoy sharing knowledge and ideas with my fellow women. In 2013, we started the “Hope for Women” group in church. I look at it has an opportunity for training women in to be independent. 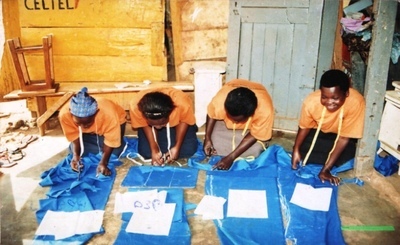 In 2014, this year on 1st March I started training women in that group with making crafts - every Saturday free of charge. I want to thank you Lois so much because people see me train and appreciate my work but no body had ever cared to ask where I started from - thank you so much for your love and concern for me and my family. I have four children, they are: Sharon, Oswell Brian, Gerald & David. Sharon and Oswell Brian are at campus, Gerald is in S.3 and David is in P.6.